Where did it all go wrong for “Scarface”? Having amassed a 10-year unbeaten run prior to his UFC 194 title-loss to Conor McGregor, it was clear by interviews and media interaction that Aldo was severely affected by the loss. It took just 13-seconds for the only featherweight champion in UFC history at the time to be dethroned by the Irishman and many had argued that a rematch was the right move, given Aldo’s accomplishments. While McGregor opted to challenge lightweight champion Rafael dos Anjos rather than defend his featherweight title, his loss to Nate Diaz (who had stepped in to replace the injured dos Anjos) led to a rematch with Diaz and an eventual title shot against Eddie Alvarez in Nov. 2016. Aldo was afforded an interim title shot against Frankie Edgar at UFC 200 and put on an excellent display of judicious fighting which negated Edgar’s attack and was looking forward to a rematch with McGregor, who was eventually stripped of the 145-pound strap when he beat “The Underground King” at UFC 205. Aldo was eventually promoted to the unified champion and took on the best performing featherweight in the division, Max Holloway, at UFC 212. This would prove to be Aldo’s first and last defense of his title, as he was TKO’d in the third round by the exceptional Hawaiian in front of his countrymen in Sao Paulo. Frankie Edgar’s injury ahead of his first UFC featherweight title shot gave Aldo a chance to recapture the title and avenge that defeat to Holloway but he was beaten convincingly. Losing to Holloway comes with no shame – the champion is one of the best fighters in the promotion and was a comprehensive favorite heading into the bout. 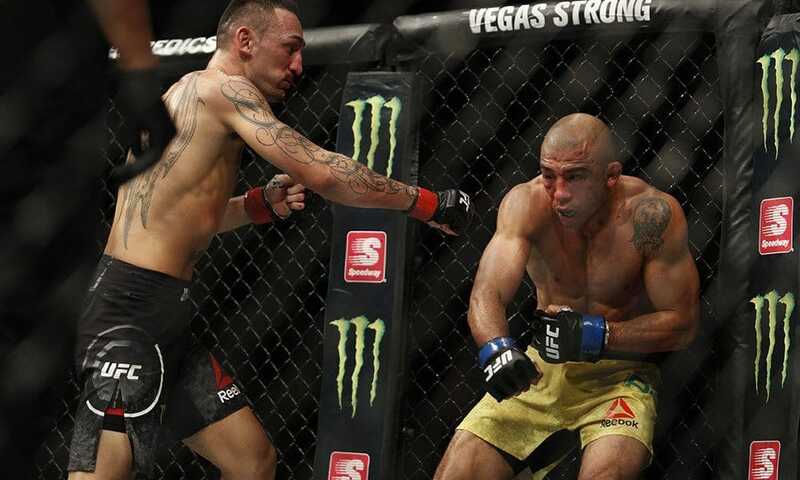 What surprised many was the manner of Aldo’s performance in the loss. “Many talk, few know,” Vieira posted to Instagram. “This is the truth, Brazilians are used to idolizing crooks and crucifying heroes. It’s almost cultural. Who should be supporting us is pointing fingers, criticizing and judging without having any knowledge to talk about the topic. We’re used to fighting rivals and receive critics from the ones who were supposed be on our side. Aldo had not indicated that he is ready to walk away just yet but questions still hang over what exactly he can bring into the octagon.